That seems to be the natural progression with most of our goals. I’m sure you set goals in the past and even have some for this year. If you’re like me, you’ve missed a few of them. Someone has an unused gym membership out there. No matter how many times I attempted that puzzle (or any other goal) with only hope, passion, or good intention, it ultimately ended the same: an incomplete puzzle and a mess. Until, I learned to find all the corner pieces first, then line up the edge pieces, etc. I had a goal but I needed a ‘system’. Basically, systems are processes you put in place that employ discipline and consistency. They are simple reoccurring tasks from the core of what you desire to accomplish. 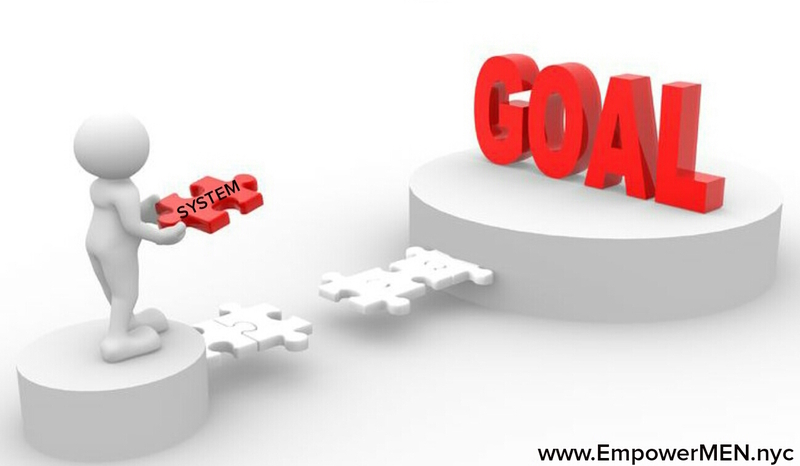 While they can be used isolated and independently, I use systems to effectively support my goals. Systems allowed me to replicate success, and that’s a key differentiator of the most successful people. You set a goal to write a book by the end of the year. Great goal. 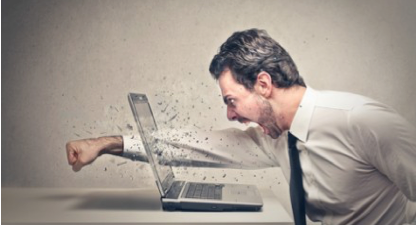 If June arrives and haven’t even written a single word, chances are you will be discouraged. The likelihood of you accomplishing your goal becomes slimmer. Conversely, if you setup a system to just write for 15 minutes every day, you can end up with more than just one book, you may have a series! Share your own success story/tips for a chance to be featured in our newsletter or blog. Follow us on Instagram for highlights and upcoming dates. Thank you, much appreciated. More is on the way! 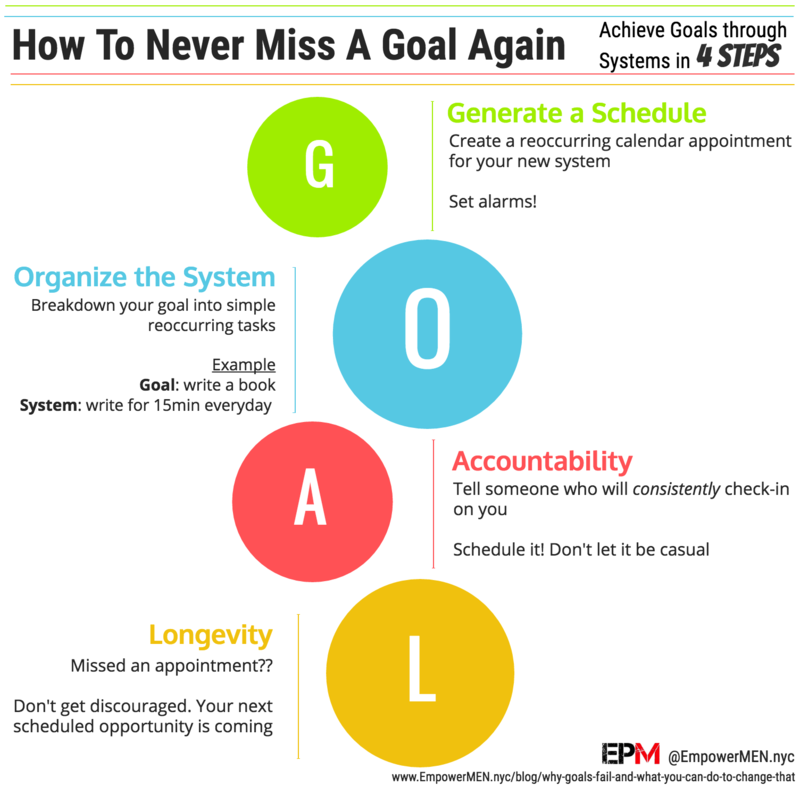 Great post on how to never miss meeting goals again! The accountability factor, rolling others in to help you keep you on track is so key. I find that if you give specific and measurable goals (like the example you gave on writing a book) it makes it easier for people to hold you accountable on your progress. Thanks for sharing! Thank you! We want to make sure there is a strategic playbook to immediately get started and keep momentum going.